Island Lake State Recreation is the remenants of the American Aggragetes South Lyon Division of Sand and Gravel Operations. 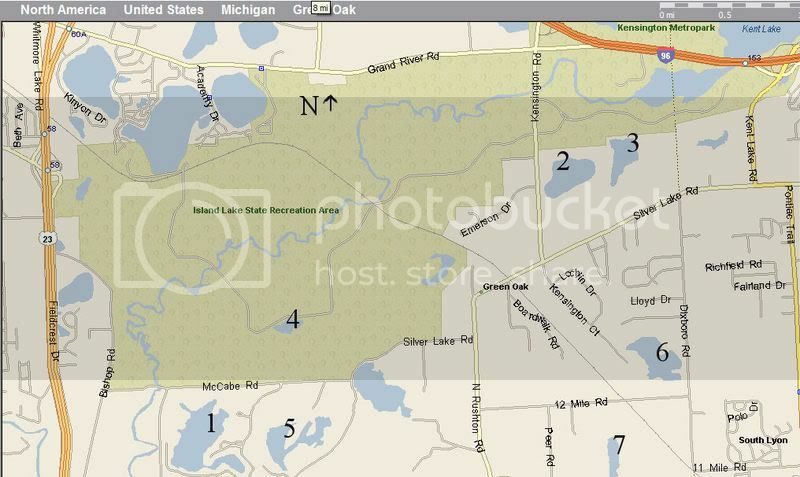 The entire park south of the Huron River to Silver Lake Road (See map) was once sand pits. The operations started in the late 1890's and ended in the 1980s. A large Railyard, and load out facility once stood. Now all thats left is the road beds, and foundations. The operation consisted of 5 pits, the largest being off McCabe Road, and is now called Hidden Lake Estates, they are building homes in the 2 millions! They also have a marnia. The other pits, were what is now presetn day Spring Mill Pond which still has its crane in it, and is a popular summer destination for locals. Trout Lake, which also has a crane in it, and is 1.2 miles around, and just over the hill is another unnamed pit that the state just purchased. It is unknown if this pit had rail service, but I have found pieces of rail in a pile of debris left over from the clean up. 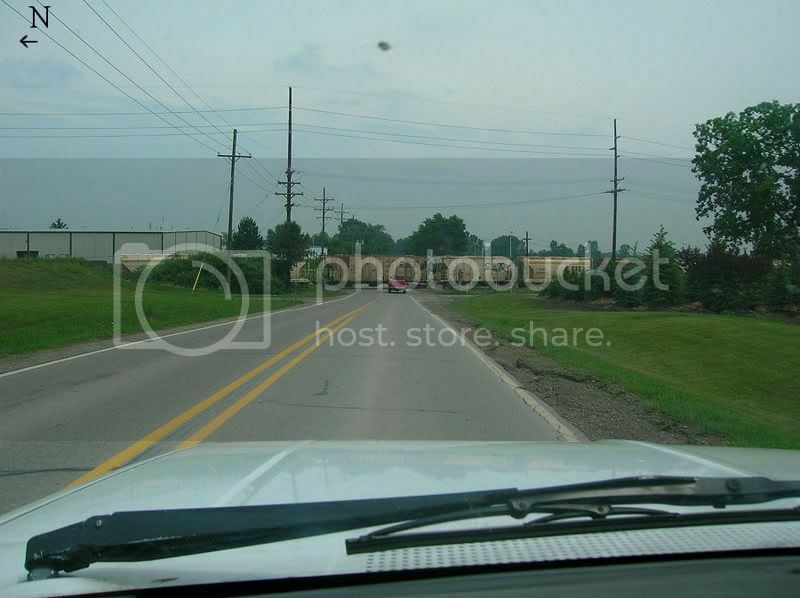 The 12 mile pit (number 7) once used a conveyor belt that went of the CSX and 12 mile road to the Dixboro pit were it was loaded into trucks since 12 mile is a rural gravel road. See the Map to view pit locations. Click the Map thumbnail to view a full sized verson. It costs 6 dollars for a daily pass into Island Lake or you can go to point # 1 on the map below of railfanning locations inside the park. It is free to walk, roller blade, or bike into the park. I recomend mtn. biking, as Island Lake has some of the best terrain in south east Michigan, with a little bit of everything, and a system of trails. Island Lake is the bottom of what I consider the back side of Salem Hill. Starting off at MP 43 (US 23) the line starts upgrade, and really kicks in at the Huron River Trestle. At the Academy Crossing at the Huron River, Silver Lake Road, 12 mile Road and the West End of South Lyon located at 11 mile at Dixboro, you can really notice the grade. The list below has each photo location in the park, only three are accessible directly by car, the rest are by foot, snowmobile, or bike. I recomend by bike. Silverlake Road is not really inside the Park, but on the direct south Edge.